Bimber theme provides a limited support for custom post types which is used by OnionBuzz. We will update this article to cover some popular cases with Bimber theme. Open theme customizer (Appearance → Customize). Using navigation pane head over Posts → Archive. Change settings for Archive type and Template. Both should NOT be set to None. Select any option except None and Save changes. Using navigation pane head over Features Entries. Find Category section. Check Uncategorized category and uncheck it. Leave it unchecked and Save changes. Features items are cached for some reason. 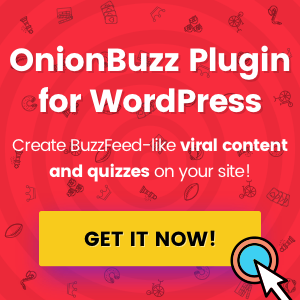 And this trick helps to release cache and display OnionBuzz stories. It’s possible you need to take this action from time to time.